Equine Therapy - Cottage Farm Inc.
We offer equine massage, pulse-electro magnetic/light therapy, micro-current therapy, electro-acupressure and functional movement taping. Sally Moehring has successfully completed Animal Dynamics Equine Massage course and will continue tutelage under Don & Lisa Doran for continuing education. 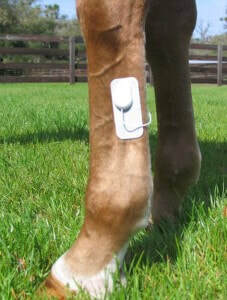 Certified RockTape Equine/Rider Functional Taping . Sally has previous training in therapeutic ultrasound, laser and magnetic therapies that she used with great results whilst working with top-class equine athletes competing in dressage, jumpers and polo. Sally's personal history with horses includes managing racing barn , flat and steeple chasers, eventing through Intermediate, show jumping through equivalent of 1.30m , gymkhana, dressage through Advanced, and keeping her husband's polo string happy and healthy. Each discipline comes with it's own set of common injuries. Our goal is to keep your athlete's muscle's supple and healthy, remember healthy muscle does not hurt and is smooth and pliable to the touch. Many times by being proactive you can prevent or at least minimize injury that is caused by repetitive stress. We are constantly seeking out products and services that can help you with this goal. 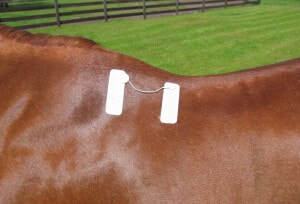 As always we recommend conferring with your veterinarian as a first step in your equine's well-being. ​We are the Florida distributors for Activo-Med , pulsed electro-magnetic, cyclonic massage and wave light products. We can also supply you with large therapy equipment such as water treadmills, dry treadmills with speed control and adjustable incline. Our newest lines for 2018 is the innovative Hansbo Sports ICM Technology which combines infused ceramic and infused magnetic fibers to enhance circulation. We welcome IceHorse to our growing list of products. The patented, non-toxic, First Ice inserts are made from a formula that freezes to a consistency of snow making it mold-able and long lasting. This provides a comfortable and less messy way to get deep down cold therapy . We only endorse products that we have used and found successful and have had professional product training /certification. ​Please contact us using the form at the bottom of the page and let us know how we can help your horse. Blue Ribbon - Massage/Pemf/Wavelight - Combination of therapies $110 - these sessions usually last 90 minutes. Kinesiology taping can be applied at the end of a session. 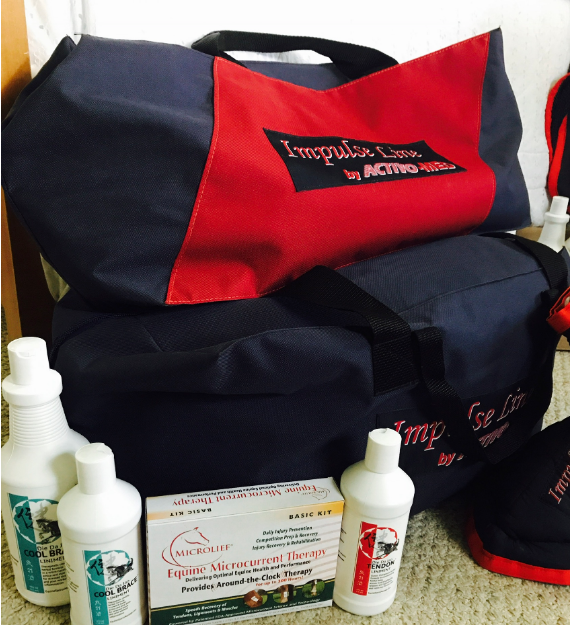 We offer short term rentals of Activo-Med Combi blankets (pemf/massage) and the Contender all pemf blankets as well as some other products including pemf boots. Please check with us for availability. A refundable deposit is required . ​Package prices and multiple horse prices available, please inquire for more information. Microlief placed in areas of that are suspect for trauma can help speed healing .